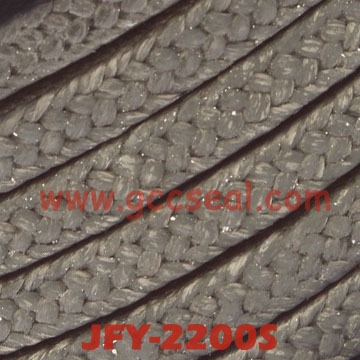 Imported high-quality pre-oxidized fibers impregnated in graphite by the special treatment. Has high hardness and density. Wear and chemical stability. Very suitable for the top and bottom of the packing rings. Easy to install quickly, needs less maintenance. Wear and long life, wear on the shaft. Multi-purpose packing usable for a very wide range of applications. Particularly well suited for all demanding dynamic applications, like boiler-feed-pumps, mixers, agitators, refiners, etc., but also for static applications like valves, autoclaves, reactors, etc. More economy than conventional carbon packing and lacks the stiffness.